As investors, we always crave for inside information as much as we can get them. 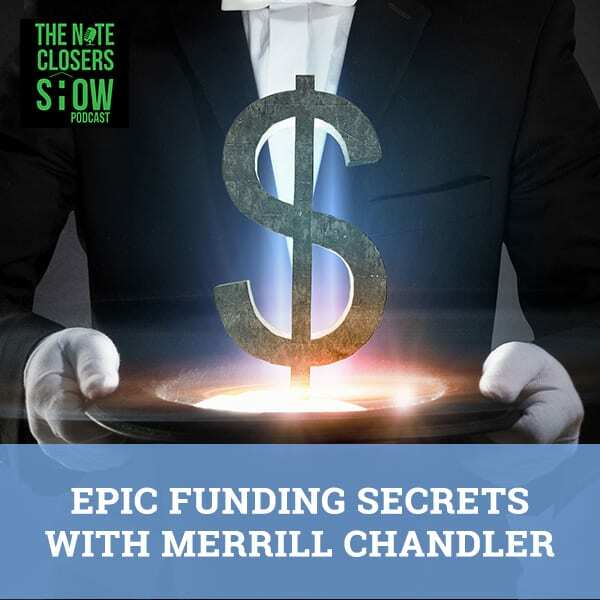 Scott brings on Merrill Chandler, CEO and Chief Strategist at CreditSense.com, to talk about some of the funding secrets that Merrill shares with his clients. On top of that, Merrill also shares the newest event that he has planned. 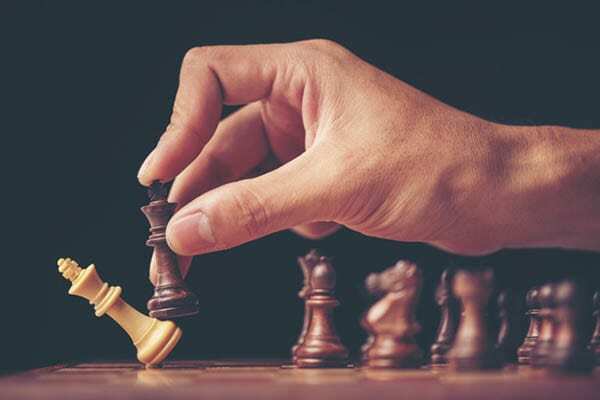 They break down what Credit Sense and Z Funding are all about while also going deeper into some of the biggest unknowns that affect people from weaponizing that credit – from last names to use, to disputing, and more. We are honored to have back an amazing individual who has a passion for helping people succeed and weaponize their credit to help make themselves much more fundable out there. This is probably one of the few guys that have more energy than me on a regular basis. The man, the myth, the CreditSense wizard, Mr. Merrill Chandler. Hi, everybody. I’m glad to be back. We had a lot of great likes and downloads on your previous episode. We’ve made this a staple where the first Wednesday of every month will now be Merrill Wednesday. Merrill, share who you are and what CreditSense and Z Funding are all about? I have a long history of being in the credit space. I co-founded Lexington Law Firm back in 1992. I spent years there developing out the best of premier disputing technology, but I learned that you cannot dispute your way to fundability. Taking off a few negative items off a credit report is not going to help you get your mortgage or get a car, get business lines of credit or business loans. I separated from Lexington and built CreditSense to deliver what I call credit funding optimization technology. It balances both your personal credit profile and your business fundability so that you can optimize everything that a lender is looking for to make sure you get approved. Not only do we know what we call the FICO 40, the 40 characteristics that FICO measures, we also have a complete download of lender underwriting guidelines, so we can help you hack those guidelines and get approved. My history has been blessed many years in the credit and funding space, but more than anything I love this stuff. Whenever I have an opportunity with Scott or any of the events I go to, we love downloading as much free information as we can to empower you to make a difference. Get that car and get that home, get your business funding that you want that’s going to elevate your notes business, your real estate investment business. You’ve got raving fans, raving clients that love what you do. We’re fans of you. You do an amazing job. Steph’s working with the guys. She had bad credit, to begin with that all but working to get some things tweaked. 60% to 70% of my clients have no blemishes on their credit, not a late pay, non-collection, nothing. They’re not as fundable as they could be, or they have 800-plus credit scores and can’t get a diamond business credit and don’t know why. Like Stephanie’s case, you don’t have to have bad credit to optimize your entire fundable process. If you do have bad credit, there are steps that we can do. We consider that another impediment or obstacle to fundability. It’s one more thing we need to do to get you into those lender approvals. You’re not a credit repair company, you are a credit optimization company. There’s a big difference in there where you work with the clients for a month, you’ve got a relationship that you’re working with your clients still. They get lines of credit. You’re working with them either a year or as long as it takes to get $100,000 at least in lines? Funding Secrets: Your identity is the number one fundability issue across the board. Not business credit cards, not a business loan, not a mortgage, $100,000 in 3% to 7% credit lines. Write a check, do a deal, credit lines. We’ve got some students that have a lot more than $100,000 in lines of credit too. One of your students got $500,000 in her first delivery in her first round of funding from one creditor at 3.6% unsecured. We had another one of your clients at $700,000 but it was between four lenders. They’re happy as can be and I’m talking to my team, “Why didn’t we get this in three or two lenders?” We have bigger goals for you than you do, I promise you. Let’s talk about some of the biggest unknowns that affect people from weaponizing that credit. A couple of things are unknowns. FICO denies this until the day they die. They’ll be like, “I’m sorry, this is not true.” Your identity is the number one fundability issue across the board. We do office hours for my clients like good old education on the campus. We have office hours twice a week where I’m on the phone and if I’m at an event, Brad our Chief Funding Officer, we are on the phone in a conference call. You get to ask whatever question you want. A client comes in and he goes, “I came to you with a 780,” but he couldn’t get any funding. We work on his identity. We get rid of a bunch of addresses, get variations of his name. There were some hiccups on his employment. Not another change on the entire profile before the score chain. He got 25-point increase. He’s sitting at 820 now just from the changes on his personal identity and how it’s registered. He was like, “I don’t understand this.” I said, “FICO will deny it.” When I was back at FICO World and I was talking to the CEO and score development teams, they were emphatic. “Identity has nothing to do with your score.” I was like, “Why do I have all this anecdotal evidence that says that that’s true? I don’t want to make you guys wrong,” because they don’t want to give away the secret sauce, granted. No harm, no foul. We need to understand that we’re data points. You are Scott Carson to the credit bureaus and to FICO and to lenders. You’re not. You’re a data set and that dataset is one degree or another of trustworthy. If you have multiple versions of your name, Merrill Chandler, Merrill R. Chandler, Merrill Ray Chandler, those are three sets of individuation in the data. 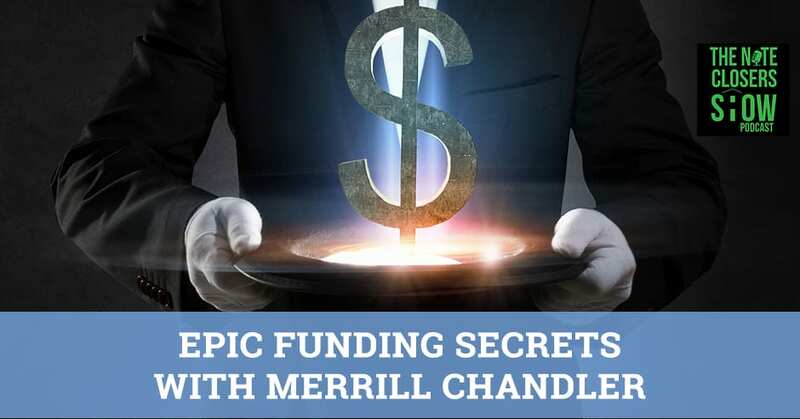 They don’t know who they’re lending to because Merrill R. Chandler is not the same data as Merrill Ray Chandler. It’s the same with your name. Maiden names will screw you up left and right because they don’t care that you’re married. They care what the last name is and whether it matches. All of these things are powerful. Are you advocating married women don’t change their last name? I’m not saying don’t change your last name. If you choose to maintain a financial identity separate from your spouse, you can take the last name for the community even on your marriage certificate. Lenders don’t ask for a marriage certificate. You can take the last name however you want. If you want to maximize your funding capacity, then we recommend in married couples or partnerships that you maintain separate last names with the lenders, the credit bureaus, and on your applications. Be a happily married couple. If you do change it, then you’ve got to at least change it across the board. Get rid of all the old versions as far as the credit bureau databases are concerned. Our target, our bullseye because it’s a target and you can hit the target at 100 yards with an arrow. You’re still killing it, but our goal is to get down to that bullseye and that’s one version of all your data points. One version of your name, one Social Security number, number one date of birth. Your spouse, if you did a mortgage together you may have two Social Security numbers on your report. You also need one address. If you have notes or your real estate investment properties, you may have multiple addresses because that mortgage was done in your name. We’ve got to clean all that up and we’re going to show you how. It reminds me of the analogy that popped up when I was a mortgage broker. We used to always think that every mortgage is a long hallway with many doors on the side. Our job to get that mortgage funded was to make sure that every time we got to the door, we had a sticky note on the door that it was all cleared up. We had it checked off when we were pulling the credit report and we had an exception. We had all that stuff so, in the end, they had no place to go but go through that funding door. It’s similar how you’re getting these things cleared off of old addresses, making sure it’s the same thing. Data entry errors, before I cleaned it up, I had Merle Chandler. You wouldn’t believe all the data entry. If you’re not filling out an online app, if you’re filling out a manual app, those are being transmitted to Malaysia for data entry. They don’t know what a Merrill Chandler is. They’re whipping away data entering, and we get what we get. You are in-charge of making sure that there is clarity on who they’re lending to. If there’s not, your limits are going to go down if you’re approved or you’re going to get denied or it’s going to go to manual underwriting and then enjoy. When you see it’s the manual underwriting, it’s almost always a no. That’s what all of our clients’ experience. They’re like, “Why am I getting noes? I have an 810-credit score. Why am I getting a no?” I’m like, “Paying your bills on time is one of 40 characteristics that FICO measures.” We won’t even get into scorecards and all the variations of how they use those 40. We have to be in-charge of our own fundability, bottom line. Funding Secrets: You cannot dispute or delete accounts to get to fundability. It’s not going to happen. Your score’s going to go down above 1%, 10%, 20%, 30%, 50%. It’s going to keep going down. The magic number you never want to go over is 39%. You don’t end up with a lower score because your score has been dropping through all those higher percentages. 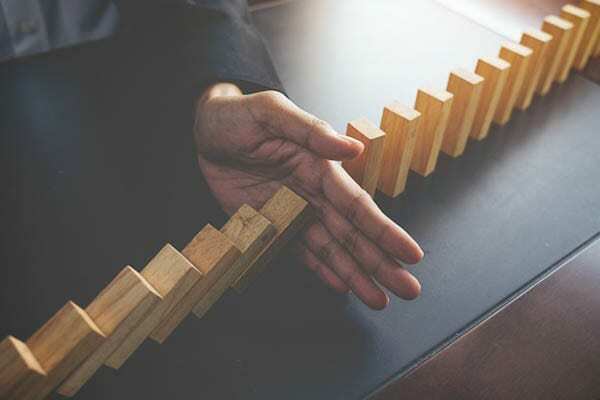 What’s going to happen is you’re going to red flag your account for special notices, special review in the risk department, not in client relations or customer service. It’s a big department difference, you don’t want to be in the risk department. That number is 39%. People often worry about, “I can send letters in disputing things to get things removed from my credit.” Would you want to talk about the effectiveness of that or the falsehood or the truth for that? We call that disputing. That’s technically credit repair. Credit repair in any form is writing a letter and hoping to the credit gods that something comes off. Lexington, the finest and biggest in the business, advertises on the website 24% deletions over the entire life of the account. 24% means that there are people getting 60% and 70%, but there are also people getting 1% and 2%. 24% is two and a half items out of ten negatives that come off your report. 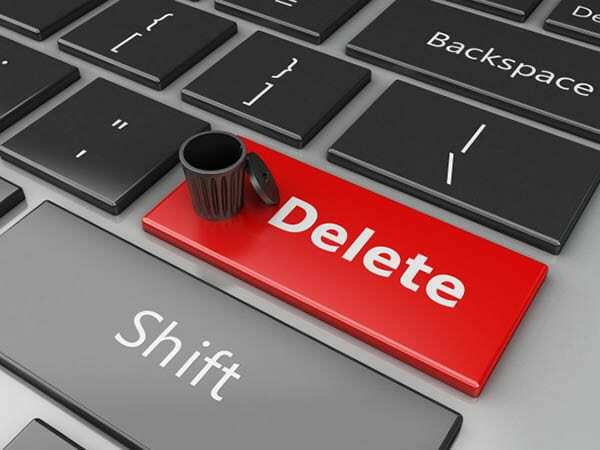 You cannot dispute or delete accounts to get to fundability. It’s not going to happen. The only remote case is if you have perfect credit, high scores, you got a random collection. They happened to take off the collection and you’re back to that great profile. The issue is that most people go derogatory on more than one account. There’s always the one-off where you’re like, “We’re in Europe boating and yachting and I’ve missed my credit card payment.” That 30-day late is going to affect you. You get approximately 40% of the points after year two and you haven’t gotten any newer derogatory accounts, and another 30% after two more years for a total of 48 months or four years. You’re still down 30% of the negative drag against your score, but over four years you’ll recoup about 70% of that. It’s going to be with you. If you could delete that through the disputing process, awesome. Most of us take multiple hits. If we get one collection, we’re getting more than one collection especially medical bills. If we go late on one and it’s not a mistake, it’s because there’s a financial event going on in our lives, and so we may go late on multiple. Getting rid of all those is unlikely. It happens for 1% to 2% of credit repair clients. We optimize good credit so that you can have more opportunities. I’ve got clients that have 800-plus credit scores and still have three to four judgments and/or collections. We used all of the good credit and bolstered it because out of those 40 that are measured, 30 of them have to do with good credit. Only ten have to do with derogatory accounts. That means there are 30 ways to improve your profile and score. The language was intentional. We’re not just about the score but raise your profile quality and score without touching a negative account. That’s why you can have 800-plus and still a couple of derogs. You can still get stuff funded when you have a judgment on your account. People could have been through financial hiccups in the past who had deals that went south on them, had a judgment that they’re paying off of some sort. That’s a huge aspect of where most people would completely shut down from thinking, “I can’t get funded because I have this.” That’s not the case. That’s why we have Merrill. 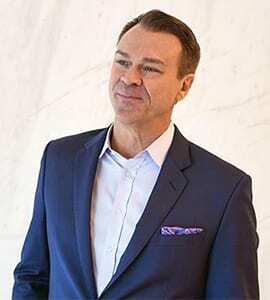 He is the premier fundability expert in the country at CreditSense. You do such an amazing job. Talk about what you’ve got. What’s the big announcement? We’re establishing a new process because since I invented credit funding optimization and the whole notion of fundability, people want to believe it’s true. It makes sense that it’s true. They can’t look at anybody else or social proof, other than our own testimonials, that it’s even possible. What we’ve done is normally when we go to Note CAMP and we do a presentation, we invite people to get what we call a Fundability Analysis to see how close you are to being fundable. Some people don’t do that because of the price point. Everybody would do it if they know it would happen like clockwork. It’s that trust factor. What we’ve done is we’ve put an interim step in the process. We’re doing what we call Bootcamp Intensives. You can get onto an online two-day seminar. I don’t know if I can even compare to the quality and capability that Scott produces his events. We’re going to have a two-day event where we’re going to be discussing a whole host of things that you can do included in the ticket price. $47 to attend a two-day event, if for no other reason you can clean up your identity. You can take a look at what we call a Fundability Index. You can grade your credit profile. We’ll teach you how to grade your own credit profile to see where you land. We’re going to be talking about how credit card stacking can kill the golden goose of your personal credit profile. We’re going to be looking at what a qualified funding entity is and how to establish one. It’s going to be a workshop. You’re going to be doing the things necessary to make yourself fundable. One of two things happen. At the end, we offer our traditional coaching packages. There’s no difference there. We’re going to spend two days with you and if you want to go do it alone, feel free. At least you now have some resources and tools to help you. If you want support and a guarantee of funding, then you subscribe to our traditional packages. The good news for us is that everybody who becomes a client is already going to be mostly through their original space. The slow part of the process, we’re going to be doing it right there with them. I’m going to have an entire team of people coaching them live and in color. If they become a client, they’re already fast-tracked into their funding process rather than doing all the data collection and fixing this and fixing that. We’re doing that in the Intensive. There are higher packages for more value. There’s a recording and there are templates and all kinds of things, but the website we tell you to go to will outline all of this. Bottom line, $47 gets you two days of this level of a fire hose. Everybody who’s not a client but who’s reading this, how do you get the affection and love I have for my clients and how they feel about us and what we do for them? Join it and find out how fundable you are and let’s make it happen. For those that are reading this, the website is EpicFundingSecrets.com/online-bootcamp. It’s not a webinar. It’s live. Questions and answers. Exactly what we’re doing here except we have a whiteboard behind me and we’re going to be blowing your minds. You get to watch it in the privacy of your own pajamas. Funding Secrets: We’ve all had mind hurdles or blocks based on our past that keeps us from moving forward. If they can’t make it both days, is it recorded? Do they have the opportunity to buy the replays as well? You can buy the replays if you’re not available. If you need any information about this or it’s too hard to remember that string, Info@ZFunding.com. They’ll hook you up with the link. Jake and my executive assistant team, they will make sure. We’re going to have a blast. We’ve never done this before. I have gobs and gobs of information that I want to give to people that don’t harm the people who’ve paid us to help them and coach them. This is going to facilitate that process. Get people a higher level of fundability with or without our support. You can also buy just the recording itself for $97 if you’re not going to attend live. It’s all on the page. It’s $147 for the live event, the recording, templates and all the other goodies. If you want me to do your Fundability Analysis, me myself, then that’s $297. I take all the data that we do in the workshop and we will set a date and a time for your fundability. I’m expensive, ask anybody. It’s well-worth it there. That’s still pretty cheap when you figure out. It’s terribly inexpensive, but we’re also starting it. I would get now because the price is only going to go up as we see the demand for it increase. All you first adopters, you have a chance. It’s going to be more expensive. We did an OREIA event, the Ohio Real Estate Investors Association. There were 800 people in that event. We had 300 in our room and 100 of them all bought tickets. We’re going back to Columbus, Ohio for that event as well and doing that live. If you’re in the Columbus, Ohio area or anywhere where you can travel, you can come to the live event. Go to Info@ZFunding.com and ask about information for that Ohio event. The prices for 2018 are the same. A live event is $47. An online event is $147. You first early adopters get in here and get your stuff together. Don’t put this off. You’ve got the end of 2018. A lot of people want to do big things in 2019. We’ve all had mine hurdles or mind blocks based on our past. Merrill is telling you that you can overcome those things. 30 of the 40 things are all based on what you’re at now and going forward with stuff out there. Whether it’s you’re getting funding on the personal line of credit to getting business lines of credit. You’ve got some great things that you do with that too, Merrill. The live event may be simulcast. We’re looking to simulcast them at the event. The whole idea is to have a live audience and then one of our producers will be there and asking questions like people in the audience raising their hand. Online gets to raise their hand. You will have a virtual chair. It’s two days in Columbus if you want to attend in person. It’s a long time coming. You have been busy working so hard with your existing client base and new clients even had the chance to put this together. We are going to help you promote this. We’re going to help you fill this up as well for you because we believe in what you’re doing. We know what you’re doing works because it works for us. We’ve reached a certain point in our business where we have so much proof of all these things. What we’re giving away at the event helps you as a client or helps you if you’re not a client. We have many people who enroll in our coaching programs that our funding is going to happen faster and faster because of these. We’re almost doing it as an excuse. People who don’t become clients, Godspeed, God bless. Go out there and you got a lot of great actionable intel. If you’re going to become a client, it’s worth it to get you in a room and get all this stuff done upfront rather than doing it over the phone and email and everything on the back end after you sign up. I don’t want that anymore. I want people coming prepared to us for their funding phase, not their launch phase. That’s what we’re doing and we’re going to slay it. I want to make sure and clarify something here for everybody. That’s not your traditional coaching program. You pay something and you do a little bit. What he means by this is where you have somebody there at CreditSense to hold your hand, to go through your step-by-step on your funding portfolio. You’re technically coaching through Steph on some things and us as well. It’s not the same price as you would think of my mastermind. It’s a much smaller price point for that, but we don’t even want you to get to that aspect right now. We want to talk about, “Let’s get to the base. Let’s build a good foundation of conduct.” Merrill is one of the few individuals going to these big credit bureaus, credit seminar, credit conferences. CreditSense is the only consumer-facing organization that goes to these FICO events. Everybody’s lenders, everybody’s programmers and quants, and people developing the underwriting guidelines and we have dinner with these guys. This conversation was amazing. We were sitting with two guys representing a big credit union. What they don’t know that I know is that all credit unions are regulated the same way, so they have to have some similar structures across the board. We were like, “What are your underwriting criteria? How do you shape that for clients with less than perfect credit, 680 to 720 credits?” They were giving me the spill. They were telling me everything. I was like, “That’s fascinating,” because we find it and I’m throwing out a few little tidbits to let them know that at least I can talk shop and they were answering every question. Now we have an even more robust knowledge of credit unions nationwide because they’re all regulated the same way. What are their funding criteria? Everybody was listening. All this intel on how the game is played. You can’t win a game unless you know the rules. How would you like to know what’s going on? We have a question, “Give us one secret. What is the best credit card or line for business accounts?” Not one that goes on your personal credits? You want business lines of credit. There are hundreds of banks. Tier one, tier two, and tier three banks that all offer great credit lines. You have to vet them and figure out what terms you want in order to be able to get $50,000, $100,000 per unsecured credit line. There is not one instrument out there. There is a difference between credit cards and credit lines, personal and business. They are not the same. You want to write a check to do a deal, not a convenience check on a credit card. These are credit lines. Credit lines do not offer 0%. Sorry, it doesn’t happen. That’s how you know it’s a credit line. There’s not an introductory offer. If the interest rate is 12% or 22%, it’s not a credit line. Those are in the 3% to 7% range. If you’re asking questions, we’ve got to make sure you even know what words you’re using. One of the lessons we’ll be discussing is what all the instrument definitions are and when to use them. Come to the online boot camp and get the opportunity to see this. We’re going to be discussing that there is not a single answer to this question. There is a type of answer and we’ve got to make sure you know what question is that. The intelligence of an answer is based on the intelligence of the question. You’ve got to know that tier A. Capital One does always report to your personal, not just businesses. As an ex-banker, I understand that aspect of things. I used to be a banker at JPMorgan Chase and personal and business banker. When you know what the competition is doing, you need to know that aspect of it after a while. Maybe easy to get but it doesn’t mean it’s something you want to have in the long run, they pull you down. You have been mind-blowing it as always already Merrill. The best email to reach you is Info@ZFunding.com for more information. Funding Secrets: You can’t win a game unless you know the rules. My team will get you exactly what you need for the links. I do want to say that all clients get to come to the online event for free because we’re buying space. Clients can come to the Columbus, Ohio event. They get to pay the lowest amount and get the most awesome package. We want to pay for space. Online, all clients are welcome to register for free. Are you sure you don’t want to backtrack that? It’s a huge thing if you’re an existing client. Some clients, especially the newer ones, may be stuck in cleaning up the identity, all the things that we need to do. Even though we’re holding your hand every step of the way, sometimes we’ve got to take the time and get it done. That’s why we’re offering it to our current clients because we want to blaze you through the launch phase, so we can get into the funding phase. Get signed up at EpicFundingSecrets.com/online-bootcamp. Go to Info@ZFunding.com. Drop an email if you have any other questions. Merrill Chandler, you’ve outdone yourself once again. Thank you so much for announcing this. This is a Note Closers Show podcast exclusive first time. Merrill, thank you so much for being a contributor and our regular monthly episode and also CreditSense for being a sponsor of the show. We’re honored to have you. Check it out. Take advantage of it. I guarantee nobody else is doing that for you. You’ll get more information there and secrets and have your own credit agent man helping you out with it. Go out and take action. We’ll see you all at the top. Merrill Chandler, CEO and Chief Strategist at CreditSense.com, has been an influential player in the credit restoration industry for over 21 years and has co-founded numerous successful credit restoration firms around the country, including Lexington Law. 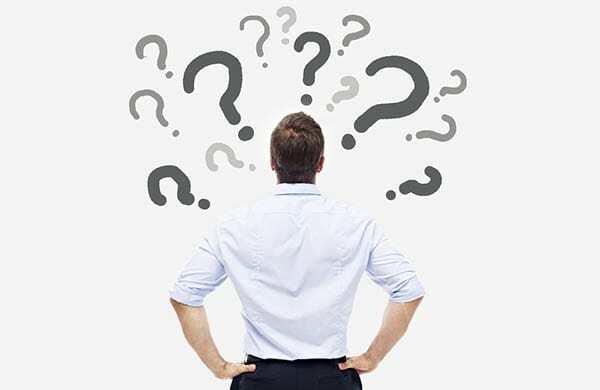 Unsatisfied with the results of credit repair alone, Merrill has used his extensive knowledge of credit reporting and credit profiling to single-handedly invent and dominate the credit profile optimization marketplace.